Cute Craving Crusher is a diet pill designed to help with appetite suppression and reducing cravings. 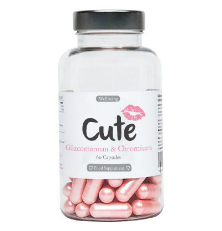 A product from manufacturer Cute, this dietary supplement was purposely marketed to appeal to women, as the label for Cute Craving Crusher features hearts, a pink kiss mark, and pearly pink capsules. 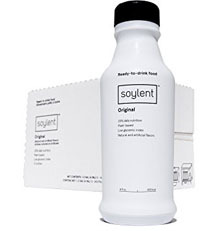 Moreover, the official product page addresses women specifically. However, this doesn’t mean that men cannot take it if they so desire. The two main active ingredients, glucomanan and chromium, have not been specially formulated for women. Cute Craving Crusher claims to stop overeating, improves digestion and bowel health, crushes cravings, and has no “nasty” side effects. The tablets are also supposed to be easy to swallow with no unpleasant aftertaste. As was previously mentioned in this Cute Craving Crusher review, the two main active ingredients are glucomannan and chromium. Here are the benefits that have been associated with each. Starting with glucomannan, this ingredient is also known as Konjac Root and is a water soluble dietary fiber. 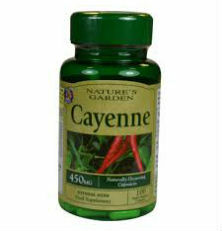 It is primary used for weight loss, constipation, high blood pressure, diabetes, an overactive thyroid and more. It is thought to work by expanding in the stomach by absorbing water in the stomach or the intestines, forming a bulky fiber. In terms of being advantageous for weight loss, it is believed to help fill up the stomach to decrease feelings of hunger, so a person can feel fuller faster, which can help them consume less, reducing the amount of calories they eat. 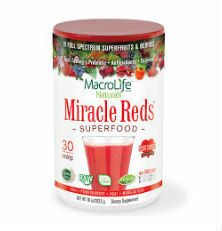 It may also assist in controlling sugar levels by absorbing sugar, as well as may also lower cholesterol levels. Chromium picolinate is thought to be beneficial to weight loss by helping to boost metabolism and promoting fat loss. However, its primary claim to fame is in helping to maintain normal blood sugar levels by aiding the body in how it utilizes insulin. All that being said, neither glucomannan nor chromium have ever been proven effective for weight loss. Furthermore, research has said that taking chromium orally does not seem to improve weight loss. Although no dangerous side effects were reported about Cute Craving Crusher at the time of this review, this doesn’t mean that the product is without risk of side effects. The most common adverse effects are digestive upset. What’s more, it’s very important to consume adequate water when taking these pills to ensure that the glucomannan expands only in the stomach and not in other parts of the body where it can result in blockages, such as the esophagus or intestines. Before taking Cute Craving Crusher, you should first speak with your healthcare provider to make sure it is the right choice for your weight loss goals.